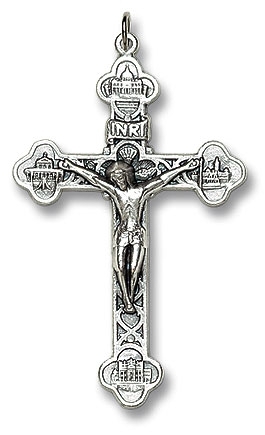 We are pleased to make available an extensive collection of wood and metal crucifixes for custom rosary making and repair. Our crucifixes can even be paired with a chain to create unique Catholic pendants for all ages. We offer an array of sizes, colors and finishes, with affordable pricing, to meet the demands of all types of rosary crafting projects.